Thousands of Islamic State fighters are also still at large in Iraq and Syria, biding their time to rearm and regroup to strike the same regions again. The fight to expel the Islamic State group from its last shard of territory in Syria may be over. But the United States and its partners still face significant battles against the terrorist group, its affiliates and other networks that are less formally aligned with it elsewhere, in Afghanistan, West Africa and the Philippines. 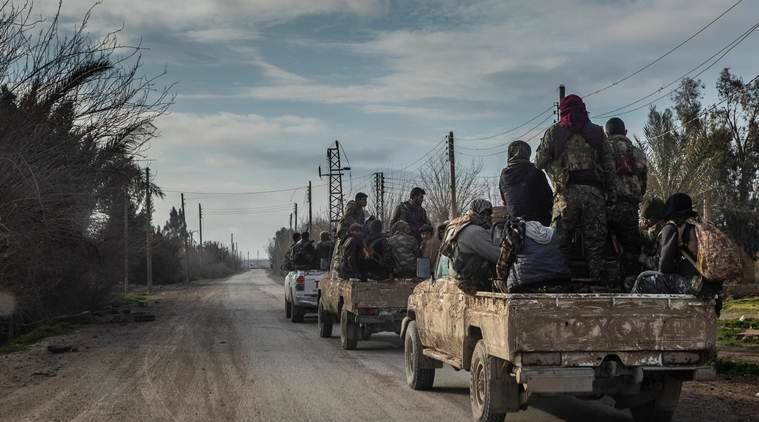 Even before a US-backed Kurdish and Arab militia ousted the last extremist fighters from the eastern Syrian village of Baghuz on Saturday, the Islamic State had shifted gears. The organization that once staked out a self-proclaimed caliphate across Iraq and Syria has now metastasized into a more traditional terrorist group — an atomized, clandestine network of cells engaged in guerrilla attacks, bombings and targeted assassinations. Thousands of US troops are helping the Afghan army and security forces combat the Islamic State and other terrorist groups in Afghanistan. Armed US drones are hunting Islamic State cells in Libya. And US forces are advising and providing intelligence to local troops fighting the Islamic State in Burkina Faso and in the Philippines. Thousands of Islamic State fighters are also still at large in Iraq and Syria, biding their time to rearm and regroup to strike the same regions again. Many of them slipped out or surrendered when the final wave of civilians fled Baghuz, US commanders and intelligence analysts said. 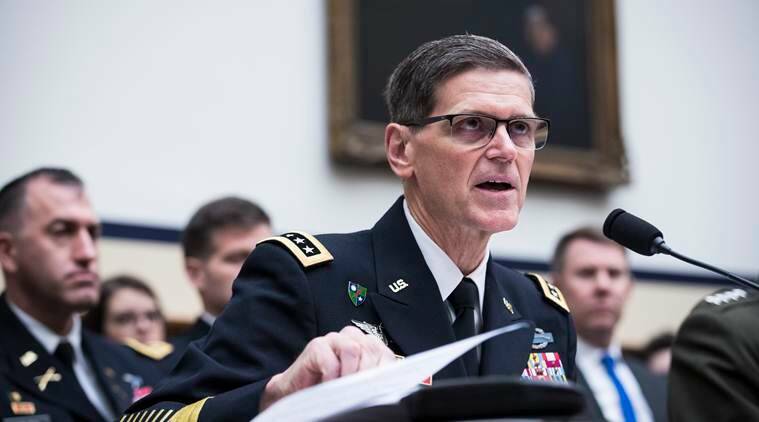 “What we are seeing now is not the surrender of ISIS as an organization — but in fact a calculated decision to preserve the safety of their families and preservation of their capabilities,” Gen. Joseph L. Votel, head of the military’s Central Command, told lawmakers this month about the exodus from Baghuz, using an alternative name for the Islamic State group. Secretary of State Mike Pompeo, during a trip to the Middle East, told reporters that the battle against extremists would continue even after the territorial defeat of the Islamic State. The Islamic State can still tap a large war chest to finance its global operations. It has $50 million to $300 million in cash either hidden in Iraq and Syria, or smuggled into neighbouring countries for safekeeping, according to a February report by the United Nations. The terrorist group also is believed to have invested in businesses, including fish farming, car dealing and cannabis growing, according to Colin P. Clarke, a senior fellow at the Soufan Center, a research organization. President Donald Trump and his top advisers have vowed to continue the fight against the Islamic State and its offshoots, but US commanders will likely have far fewer troops on the ground to wage that battle. Instead, military and spy agencies are tracking Islamic State fighters who have escaped and returned to North Africa, Europe and elsewhere in the Middle East. Analysts said roughly 1,200 of the extremists have returned to Europe alone. A classified US military program in Jordan, called Operation Gallant Phoenix, is scooping up data collected in commando raids in Syria and Iraq and funneling it to law enforcement agencies in Europe and Southeast Asia to help stop future attacks. Still, officials believe the loss of the Islamic State’s physical territory will not prevent it from striking again. Here is a look at what the US military is doing to stop the Islamic State from resurging. The Islamic State’s offshoot in Afghanistan, known as Islamic State in Khorasan, is estimated to have more than 2,500 fighters spread between Nangarhar, Kunar, Nuristan and Laghman provinces in the country’s east, according to a recent U.N. report. Speaking to lawmakers this month, Votel provided a carefully worded answer when asked if the group is an international terrorist organization and not just a regional actor. “I think ISIS Khorasan does have ideations focused on external operations toward our homeland,” he said. But one US official said some US military units had shifted away from attacking the Islamic State as the terrorist group ramped up attacks against the Taliban. US officials believe these increased strikes helped push the Taliban into negotiating a peace deal with the United States. A final agreement could require all 14,000 US forces currently in Afghanistan to leave within three years — and half of them in coming months. The Taliban have violently rejected the Islamic State affiliate and, in some parts of Afghanistan, have worked in parallel with the government in Kabul to combat the group. Last July, Taliban fighters killed more than 200 Khorasan members; most of those who surrendered were turned over to the Afghan government. Some Pentagon officials have voiced concerns about Taliban fighters joining the Islamic State if a peace settlement is reached. Another US official said some had already done so, albeit in small numbers. “ISIS could scoop up any potential fighters alienated by the peace process,” Jennifer Cafarella, research director at the Institute for the Study of War in Washington, said in an interview. Until the final US withdrawal from Afghanistan, thousands of US forces are expected to continue strikes against the Islamic State and vestiges of al-Qaida that are still in the country, including on partnered raids with Afghan commandos. The US military has a relatively light footprint across Africa. The Pentagon provides air power when needed, but generally relies on European and African partners to carry out most missions against the Islamic State, including in the areas between West Africa and Somalia. About 6,000 US troops and 1,000 Defense Department civilians or contractors work on a variety of missions throughout Africa, mainly training and conducting exercises with local armies. US Green Berets from the 3rd Special Forces Group advise local troops in several West African countries such as Niger and Burkina Faso, but rarely join them on missions. 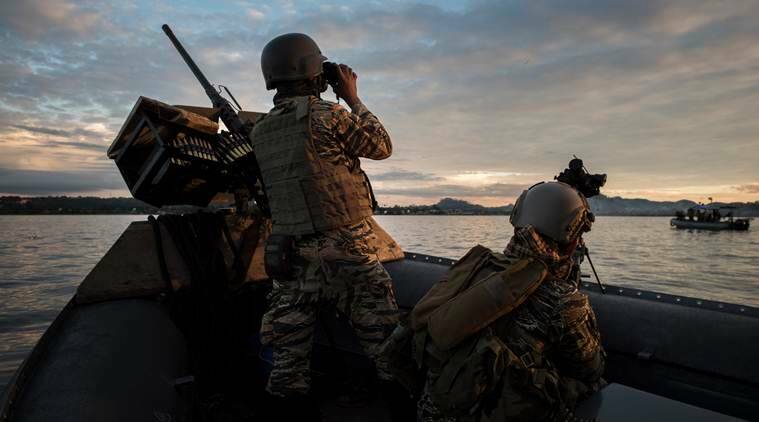 In West Africa, the US military is scaling back its commandos by about 25 per cent as part of a larger Pentagon strategy to confront threats by Russia, China and other state powers. 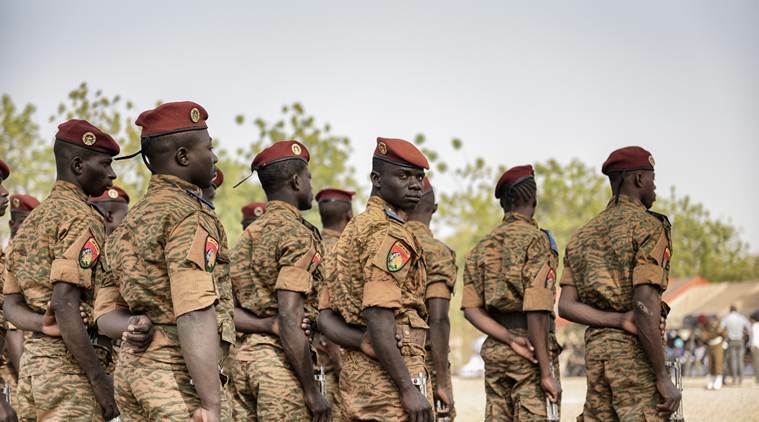 The shift comes as insurgents are attacking northern Burkina Faso and pushing south along the border with Niger toward areas previously untouched by extremist violence, including the Ivory Coast, Benin, Togo and Ghana, where the Pentagon has a logistics hub. With its large areas of ungoverned territory — and limited visibility by the United States — Libya also continues to be a haven for the Islamic State. Over the last two years, the United States has launched 13 drone strikes against Islamic State and al-Qaida militants in Libya, according to the military’s Africa Command. About 300 Marines, Army troops and other Special Operations Forces are deployed to the Philippines as part of a mission known as Operation Pacific Eagle. While US forces have for years helped train and advise Filipino troops, they were part of an offensive against the Islamic State’s affiliate in the southern city of Marawi in 2017. US reconnaissance aircraft also were involved in that five-month operation, which killed at least 900 extremists, including Isnilon Hapilon, who was considered the leader of the Islamic State in Southeast Asia. Hapilon had been on the FBI’s list of most-wanted terrorists, with a $5 million bounty offered for his capture. Militants who have pledged loyalty to the Islamic State have since spread across the southern Philippines, an area that is monitored by US surveillance drones. The Islamic State no longer controls terrain in Syria or Iraq, has largely lost much of the command and wealth it once had and has suffered tens of thousands of casualties in both countries. But it is far from a spent force. Iraqi counterterrorism and intelligence officials have estimated that about 5,000 to 6,000 Islamic State fighters are spread between Iraq and Syria. That number, however, does not account for sleeper cells and their supporters, who are believed to be involved in reconnaissance and are otherwise helping the Islamic State carry out attacks. US officials said that the Pentagon was concerned about Islamic State fighters returning from the front lines to stoke violence in their hometowns across Iraq and Syria. The United States will continue its bombing campaign against the extremist group and to assist local forces in both countries who are the first line of defense against Islamic State fighters. “ISIS’ post-caliphate insurgency in Iraq is accelerating faster than efforts to prevent it by the US,” concluded an analysis this month by the Institute for the Study of War. The United States now has 5,200 troops in Iraq, mostly spread between two main bases, including Al Asad in western Anbar province, which Trump visited in December. In Syria, Trump has ordered all but a residual US force of 400 troops to withdraw. Armed drones and warplanes will continue to provide air support. Legislation pending in Iraq’s Parliament could limit US military operations in the country by reducing the number of US troops there, restricting their movements or even demanding a full withdrawal by a certain, if yet unspecified, date. Jeffrey made clear that the liberation of the declared caliphate — an area that nearly five years ago stretched to the size of Britain — did not eradicate the Islamic State’s potency. “There is a great concern,” he said.